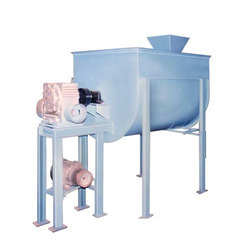 Leading Manufacturer of pharmaceutical industry ribbon blender mixer from Delhi. Our organization is actively devoted towards offering a wide gamut of Pharmaceutical Industry Ribbon Blender Mixer. The offered range is manufactured by our dexterous professionals using high grade raw material and advanced technology. Owing to their indispensable features, these industrial blenders are widely demanded by our clients. Apart from this, we offer our clients a superior range of machines that require minimum maintenance.